Tashawur is a team of experts that combines the skills and professionalism accumulated over the years of practice in various areas, such as business management, finance, accounting and auditing, risk management, IT, law, taxation, etc. contributed to the construction of an effective mechanism that provides services on the principle of "one window". 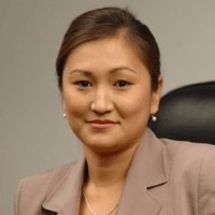 Aigul Telkarayeva is a solution-focused highly motivated and effective professional with 10+ years of experience in corporate governance, internal audit, risk management and compliance. Since 2012 she is a Corporate Executive with experience in management consulting and leading professional services in Public and private sectors, delivering trainings and seminars, speaking on conferences. She has accomplished a number of projects on risk management framework implementation and enhancement, on improvement of internal control and compliance functions, and many others.